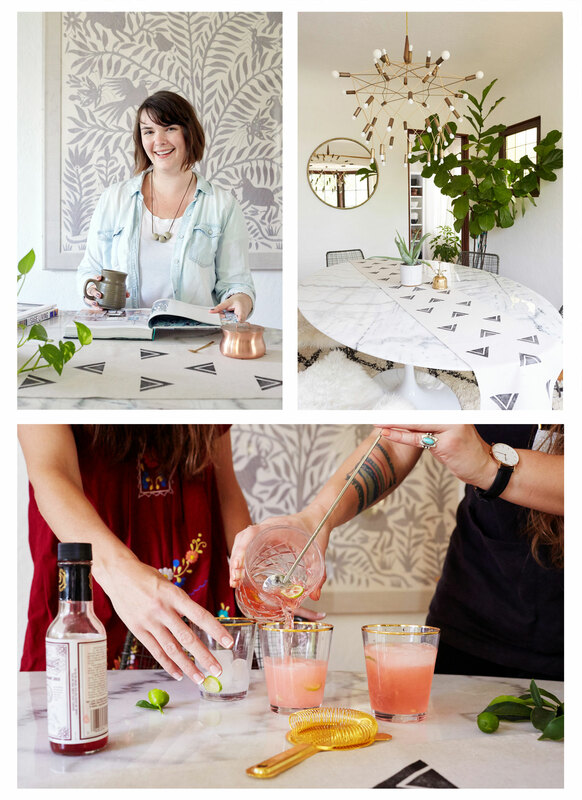 Erin Dollar is an artist, textile designer, and small business owner, making beautiful home goods from her Los Angeles studio. Her background as a fine art printmaker has helped her build Cotton & Flax, a shop where Erin’s hand-printed textiles set her designs apart as a blend of fine art and fine craft. Before becoming a textile designer, Erin focused primarily on fine art printmaking, and used a variety of medium to create original artworks rich in pattern and bold lines. Cotton & Flax began as an experiment: Erin was trying out printing her designs on fabric, and became addicted to the process of printing on fabric. Her designs came to life as decorative objects, and she continues to create work for her business with the mindset of an artist. Block printing is one of the oldest types of printmaking, and is still widely practiced throughout the world. Artisans working within this rich tradition create beautiful designs in relief, and print each design element by hand, creating wonderful variation that looks beautifully handmade. Block printing is a great way to instantly personalize fabrics, stationery, and much more, to create decor that’s all your own. Using traditional printing practices, you can create unique pieces that will add your individual style to any corner of your home. Adding handmade pattern to your home can create depth and richness to your decor, and you’ll have a story to tell of how each piece came to life.